Winters in some parts of the country can be extremely cold and harsh. Dressing to keep warm is a necessity when the weather is not favorable. You bundle up for the winter weather in hopes that spring would come early for once. Although you dress for warmth you still want to look fabulous. Your goal for the spring of 2019 is to fill your closet with the latest designer fashions that Lakewood Ranch has to offer. Spring brings many upcoming events that you have circled on your calendar, and you want to be fashion ready for each. Take care of the winter shopping at Scout and Molly’s in Lakewood Ranch. While in the women’s clothing department, ask your personal stylist to show you Brunette the Label BFF Sweaters. Nothing will keep you warmer than this stylish sweater designed for winter warmth. Get your choice of colors, or get more than one to ensure comfort and warmth all winter. 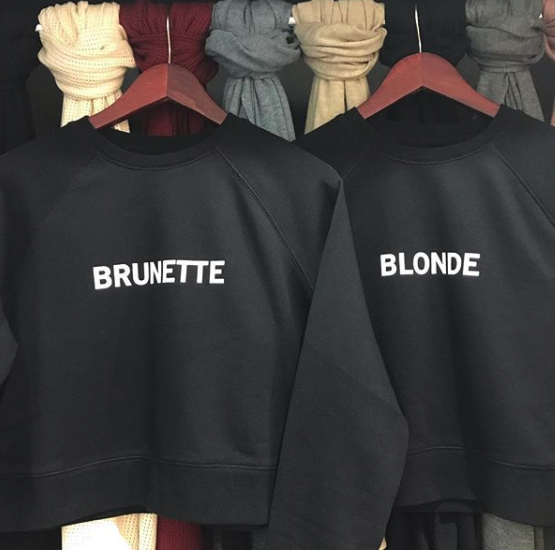 Since they are BFF sweaters, get one for your best friend to wear for when the two of you go to your favorite night spot. They go well with jeans or a maxi skirt and they are also great for gift giving at any occasion. They will even wear comfortably into the spring! The hottest spring fashions are coming in to our Lakewood Ranch store. Ask your personal stylist about the trends that will be steaming this spring. One of the looks that will inevitably be popular is the Bailey 44 Cult Classic Boyfriend Shirt and Soft Studded Tee. This beautiful tee has the makings of evening or casual wear. Wear it with jeans for a casual look. or dress it up with a skirt or pants to wear to the office or on the town. The boyfriend shirt is a definite classic that never goes out of style. Add a few accessories and you are on your way to looking stunning for any event. While in the women’s clothing section, go over to the accessories department and try the Gorjana Power Gemstone Bracelets. 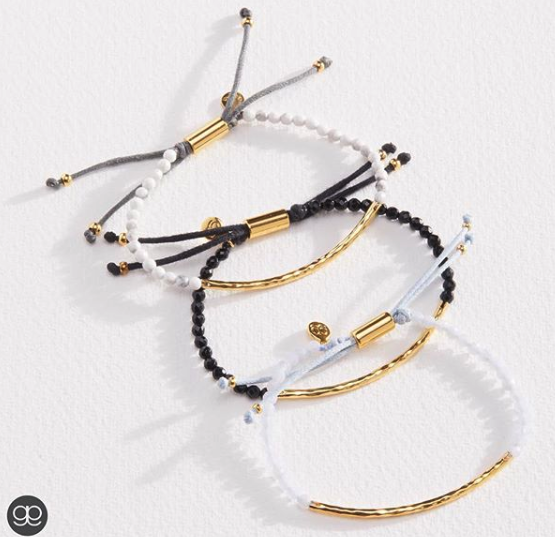 You can accessorize your wardrobe with these charming bracelets that add the finishing touch to any look. Bracelets will again be a fashion must-have this spring and no well dressed woman will be caught without them. They can be worn individually or in bunches to enhance the appearance of shirts and tees, or your entire outfit. Break out this spring in designer fashions that will have heads turning. Be chic while creating your own look that says “smart shopper.” Don’t hesitate to try on more spring fashions when you visit the Lakewood Ranch. Even though it is cold outside now, warmer weather is just around the corner. Start your spring off right with a new wardrobe from Scout and Molly’s Lakewood Ranch!